The engagement of subnational authorities in the governance of the oil and gas sector is increasingly recognized as an important pillar of an all-inclusive system, argues Dr Carole Nakhle, CEO of Crystol Energy, in this study. This paper highlights the role that municipalities can play in the oil and gas sector, and to identify obstacles and constraints that may negatively affect the municipality’s ability to assume its responsibilities to make a success of this role. It also reviews the roles that these municipal councils can play based on successful international experiences. 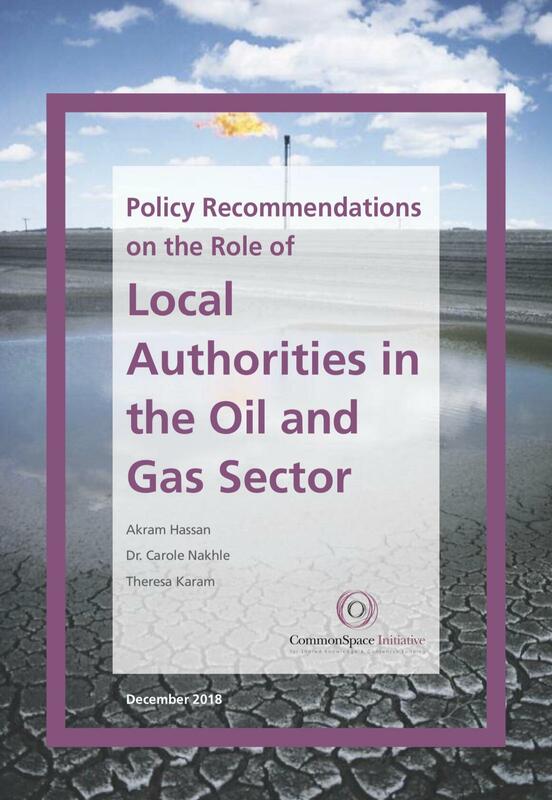 The study also proposes legislative and institutional recommendations aimed at helping municipalities practice their required role and effectively contributing to the management and governance of the oil and gas sector. The project aims at highlighting the importance of the role of local authorities in Lebanon (municipalities and municipal unions) in influencing and participating in the decision-making and policies related to the petroleum sector. This paper is published within the framework of the “Oil for the Common Good” project, funded by Norwegian Agency for Development Cooperation (NORAD) and is a cooperation project between Common Space Initiative for Shared Knowledge and Consensus Building and Norwegian People’s Aid.